Jeff Campbell is a partner at Peck and Company. He is an experienced trial lawyer, and has acted in many significant criminal cases, at both trial level and on appeal. His practice focuses on defending persons facing criminal and quasi-criminal charges, but he has also acted on numerous occasions for the Crown in special prosecutions and on appeal. Mr. Campbell is a graduate of the University of Victoria Faculty of Law (LL.B, 1998) and the University of Western Ontario (B.A. Hons., 1995). He was called to the Bar of British Columbia in 1999. In 2015, he was appointed Queen’s Counsel. Mr. Campbell regularly contributes to legal education programs. 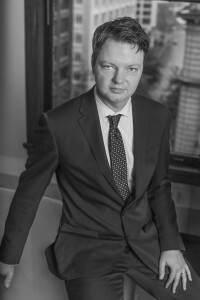 He has authored papers and articles on criminal law issues, and has spoken at programs offered by the Canadian Bar Association, Law Society of British Columbia, Federation of Law Societies, University of British Columbia, International Society for the Reform of Criminal Law and Trial Lawyers Association of British Columbia. He acts as supervising counsel with the University of British Columbia Criminal Law Clinic, a clinical educational program in which law students represent accused persons on a pro bono basis. He is a Director of the Criminal Defence Advocacy Society, and he is supervising counsel with the UBC Law Innocence Project, an organization dedicated to investigating claims of wrongful conviction. In 2015, Mr. Campbell was elected as a Bencher of the Law Society of British Columbia and is currently serving as Chair of the Rule of Law and Lawyer Independence Advisory Committee, Vice-Chair of the Practice Standards Committee, and member of the Access to Legal Services Advisory Committee.